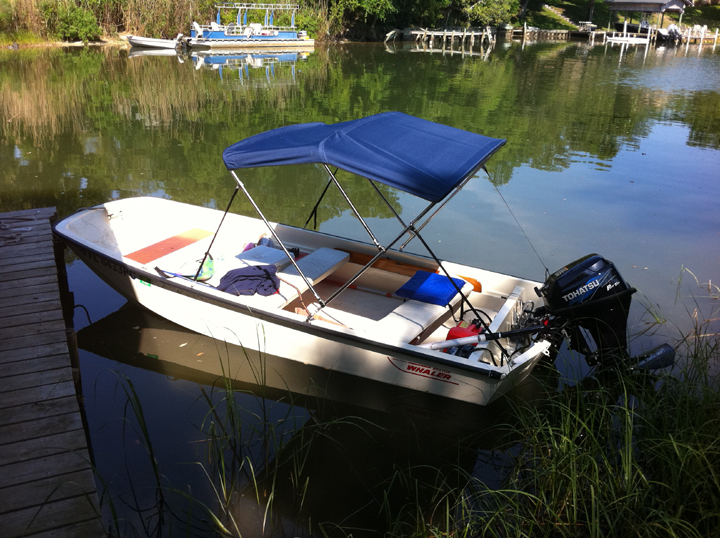 Once I had my 13 foot Boston Whaler Sport refinished, painted and had installed the seats I wanted to put some cushions in so I was not sitting on bare wood. The site www.specialtymarine.com has a complete set for $295. I also bought my new mahogany seats and my bimini top there. The cushions are a perfect fit and come with straps that velcro the cushions to the seats. The front cushion has a velcro strap that attaches it to the little eyelet in the front of the boat. It also has snaps at the back that you can use to hold it down. You will need to install the male part of the snaps on the boat to make these work. You can just lay it up front but it may have a tendency to blow back in heavy seas. 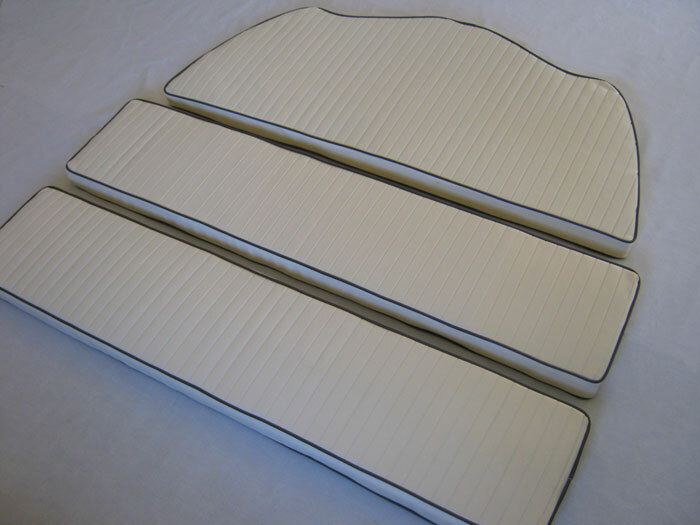 The cushions are rugged and good quality, however, if you want them to last a long time and look new you need to pull them off the boat and put them in a dock box when they are not in use. That is unless your boat is stored out of the weather and sun. I have a habit of buying something nice and then leaving it out in the weather until it is ruined. I don’t recommend this. The cushions are available in two colors. It took about a week for me to receive them. I have to say that I am very pleased with them. They certainly make a bouncy boat ride more tolerable.